studio lolo: Animal Wednesday: Leap Year! I thought I'd pull out my only frog illustration for February 29th. Happy Birthday to all the Leap Year babies out there! Lo......I ADORE this! 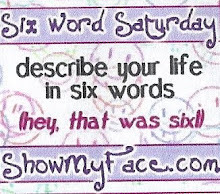 It is perfect for *Leap Year*! The Froggies are superb....and the young boy could (almost) be Felix! five frogs! i had to count! these are the first frogs i've seen you do: another group of critters to love. this is so cute. 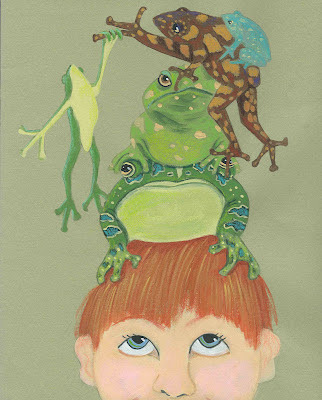 i wonder what it would be like to have a frog on my head. LOL. Oh this is just too cool!!!!!!!!!!!!!! You know I LOVE FROGS! We had a busy but nice day. Played tennis outside all morning. Then went to Myrthe and visited my Mom and after we went to Marja. I love that they're all helping and supporting each other. And the boy allowing it all,,,so fun! omg...LOVE IT! That little blue one, hanging on for dear life really warms my heart. Happy Leap Day to you, Lo! Ha, this is great for leap year Lolo. HAW. Too cute. I LIKE that little blue one. Cute! HLY to you, also! Its adorable. Perfect for Leap year. 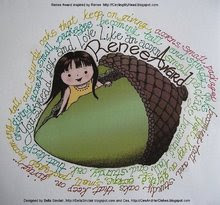 This is a great interpretation of leap year! 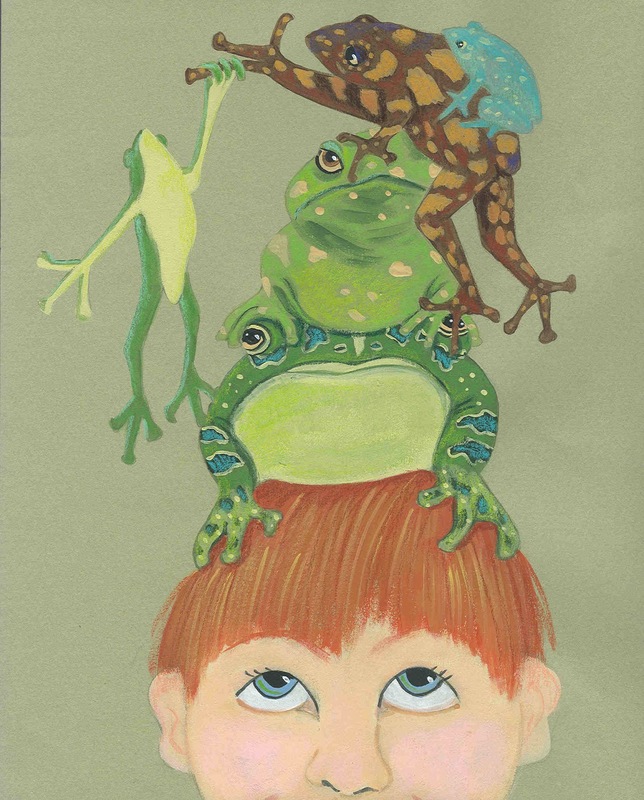 Those frogs are so cute and the little boy seems resigned to having frogs on his head. love this one- am sure I have seen it before. yay frogs! my sister is a leap year girl. How did I miss this adorable painting? Love all these frogs! And the kid too. so cute! Animal Wednesday: Peek a boo! !